RIT has joined the Understanding PhD Career Pathways for Program Improvement project, which will collect data from current Ph.D. students and alumni to help faculty and university leaders strengthen career services, professional development opportunities and mentoring in doctoral programs. Thirty-two students received Ph.D.s during 132nd commencement in May 2017. 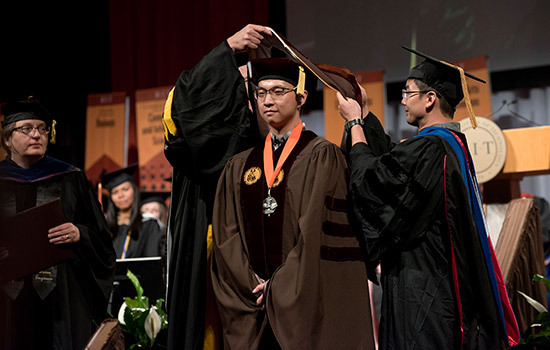 Rochester Institute of Technology recently joined a new study focusing on Ph.D. careers in science, technology, engineering and math (STEM) and humanities fields as an affiliate partner. 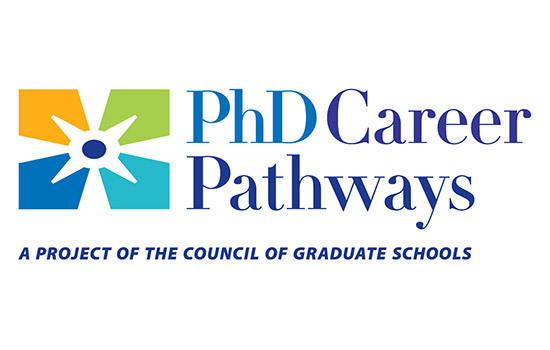 The Understanding PhD Career Pathways for Program Improvement project was announced by the Council of Graduate Schools (CGS) and funded by grants from the National Science Foundation and the Andrew W. Mellon Foundation. Over the course of several years, a coalition of universities will collect data from current Ph.D. students and alumni to help faculty and university leaders strengthen career services, professional development opportunities and mentoring in doctoral programs. RIT is one of 47 universities from across the U.S. participating in the study. During the multi-year project, RIT’s office of Institutional Research and Policy Studies will work with with the colleges at RIT that offer Ph.D. degrees to administer the survey to RIT participants. CGS expects to send the first wave of the survey to Ph.D. alumni in fall of 2017 and will begin publishing the first wave of survey findings the following fall. For more information about the Understanding PhD Career Pathways for Program Improvement project, go to http://cgsnet.org/understanding-career-pathways.